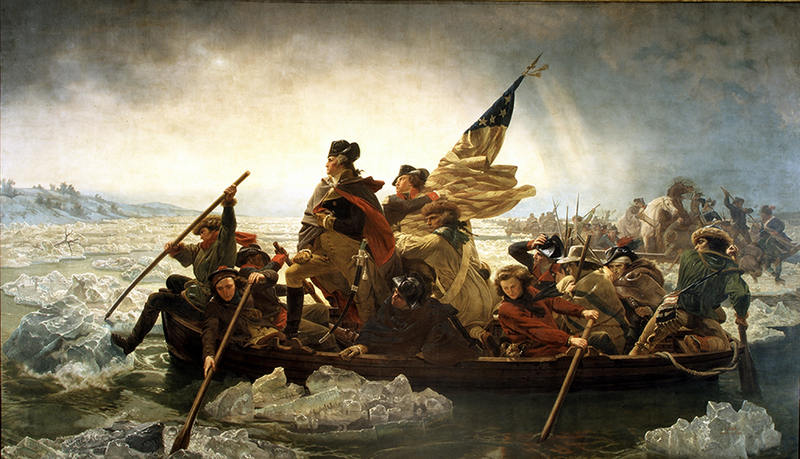 This painting is one showing George washington and his men crossing the delaware river during the american revoloution. This painting clearly shows that freedom is so important and that people are willing to risk everyhting to ensure it for themselves, their famalies and everyone else even people they do no know. Looking at the faces of the man you can tell that they are all serious. They all know that they could die soon and yet there so serious net scared or nervous not anything. You can tell that they are prepared to die to obtain freedom if need be. This article is about people dying for freedom for their famalies or even people theat they dont know. Many people take that risk cops, marines, army, airforce,etc. It must be worth it if so many people are willing to sacrafice their lives in order to give freedom to their friends, family and even someone they have never met and will never meet. This poem is about fighting fear, being at war, and being scared but it also says it is worth it to be at war half way around the world because i am fighting for freedom.This represents the theme because they are at war and are scared but they think it is worth it and show that they are willing to fight and risk their lives to protect or gain freedom. THE YEAR WAS 2081, and everybody was finally equal. They weren't only equal before God and the law. They were equal every which way. In this stry harrison tries to break free from equalit. In the end of this story harrison tries to escape from his restrictions or handicaps and he fights for his right be do and be whatever he wants with no restrictions and in the end dies trying to gain his freedom. Freedom is not an arbitrary concept or term. It does not change its meaning from continent to continent, country to country, or culture to culture. Freedom means the ability of human beings to interact with each other without interference by thugs with guns. Freedom is sustained where governments protect individual rights to life, liberty, and property. this article talks about what freedom is and what it means to them as well as why its worth fighting for. "but he fights, three birthdays pass, a sister is born, friends in shiny shoes start school, he watches others ring the end-of-treatment bell on the ward, watches others who never will, he fights and he fights, through despair into hope, and a bell starts to ring, Jacob’s hand on the rope" This poem is about a boy who is sick and continues to see things going on in the world around him that he keeps missing but he just keeps fighting. He keeps fighting for his freedom from the hospital beds, or the freedom to go to school again with his friends, to see his sister and be happy again.